Apple may have just released OS X Mavericks and made it available to all for free, but it comes with a major flaw that you may not have noticed: it doesn’t run MacPaint… or MacDraw. But don’t worry — thanks to James Friend, you can run Mac OS 7 (System 7) — complete with MacPaint and MacDraw — right in your web browser. Friend has taken a Macintosh emulator and tweaked it so that it runs in a web browser, and you’ll be surprised how much you can do with it. 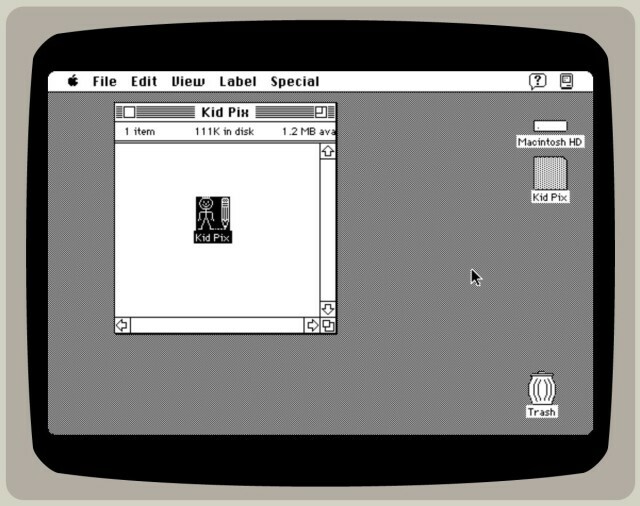 Not only can you play around on the desktop and reminisce about how good life was back in the 90s, but you can also run a bunch of apps, including HyperCard Player, TeachText, MacDraw, and MacPaint. It’s a little slow — you’ll have to give it some time to load — but it’s a lot of fun. It’s also a great chance to experience what Mac OS was like many moons ago, before we had color displays and pretty graphics. To check it out, just visit http://jamesfriend.com.au/pce-js/ in your web browser. Friend also has an emulator running Windows 3.0 if you’re into that kind of thing, plus an even better Macintosh emulator with loads of other apps and games.